This summer, Oklahoma City residents rediscovered a park in the heart of the City, and gained a new backyard all at once. Despite its prime location in the center of the City’s Central Business District and a recent renovation, Kerr Park was not, until recently, equipped to be a place for people. With the help of a Southwest Airlines Heart of the Community grant, as well as support from partners like the Downtown Business Improvement District and SandRidge Energy, the Downtown Oklahoma City Partnership was able to transform Kerr Park into a shining example of Oklahoma City’s renewed energy in creating great public spaces for all. 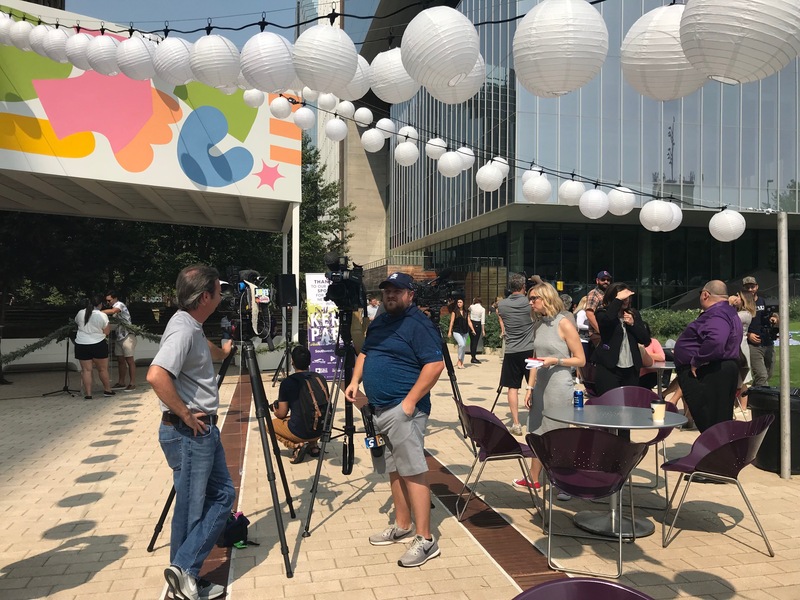 During the visioning process for the park, PPS worked closely with the Downtown Oklahoma City Partnership team, whose “can-do” attitude to transforming the space inspired and energized participants and partners. 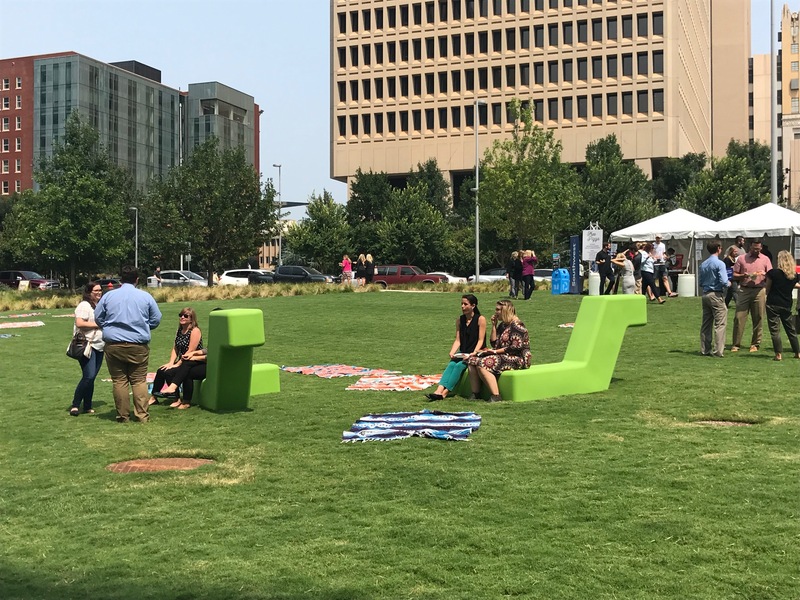 After having recently created the Bricktown Beach, a temporary public beach space filled with sand and spots to relax, and a moveable parklet, Downtown OKC staff were ready to bring placemaking to the next level. 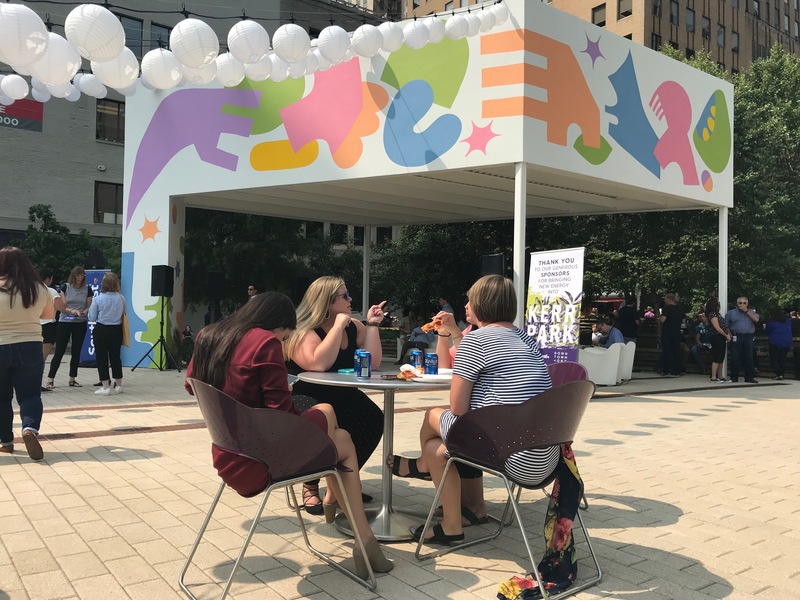 The team had a vision for Kerr Park as a place where people meet up, relax, grab a coffee, or attend an event; a vision that came to fruition through community engagement workshops and an online survey targeted to local residents, employees, and nearby arts and advocacy organizations. Throughout the process locals emphasized that it must be a place that is truly of and for the community, giving rise to the slogan “Kerr Park Your Park.” Exciting and unique amenities - chairs, tables, sofas, and green “Boa” play benches - have paved the way for daytime use and games like Bocce ball and ping pong have brought a playful spirit to the previously empty space. Amidst continued investment in Oklahoma City, where exciting places like the Wheeler District and the Container Park in Deep Deuce continue to pop up, Kerr Park is poised to become a welcome place to gather and eat lunch, use the new pavilion for events, or enjoy outdoor programming.